We would like to introduce Fontabulous!! The Hungry JPEG’s biggest EVER font bundle!! 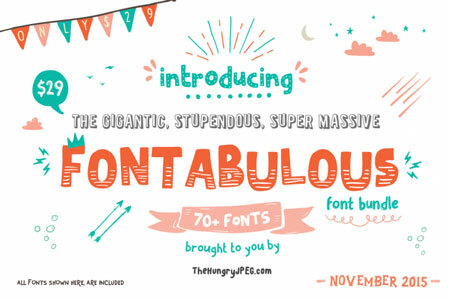 Including a whopping great 76 fonts for just $29.00. That is just over 30 cents per font! As always all products come with commercial licenses and free support. 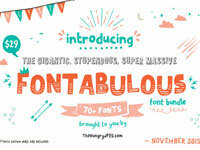 Don’t miss this super massive, gigantic fonts sale before it expires on December 1st.